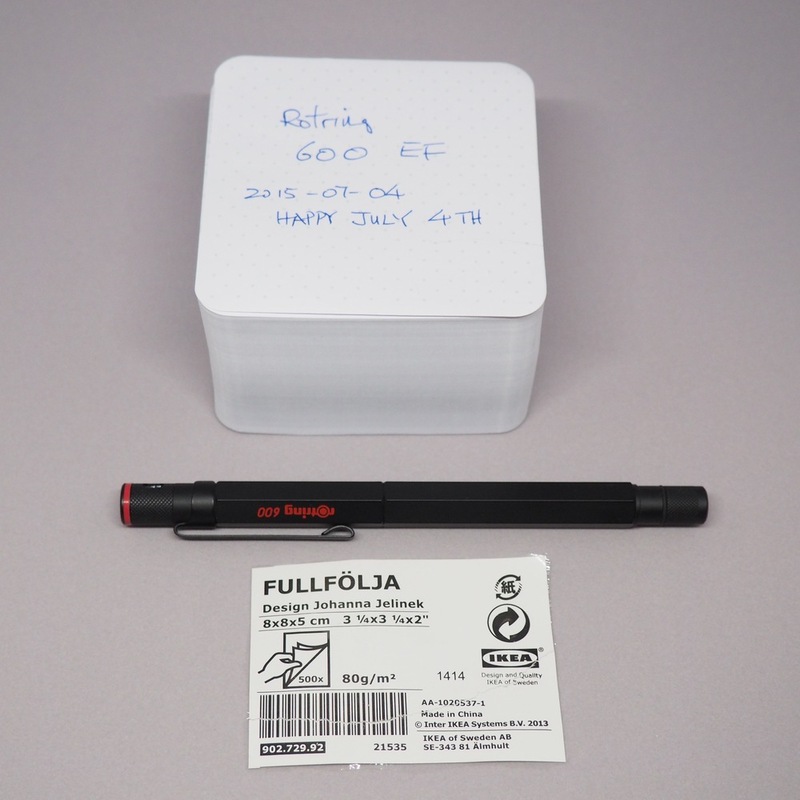 If you are a pen and paper enthusiast, you will be happy to find that the new FULLFOLJA notepad / note cube from IKEA is a great find. The paper has a dot grid that unfortunately lines up diagonally, but the paper is super fountain pen friendly. The back of the paper is plain. At $2.99 for 500 sheets, it is a no brainer. The paper size is just over 3 inches x 3 inches. The paper has rounded corners. Both fountain pen ink (see photo) and ink from a Signo 207 gel writes well with no bleeding.